Elindult az új szemeszter, és hamarosan kezdődhet a fesztivál szezon is: legalábbis a Corvinuson! Találkozzunk április 16-17-én a Főépületben, a Corvinus Career & Business Festival-on! Itt a helyed, ha gyakornoki helyet vagy állást keresel, és akkor is, ha rápihennél a tavaszi szünetre a ChillZone-ban. Save the date, stay tuned and search for the Panda! The new term has just started, and soon begins the festival season too: at least here at Corvinus! 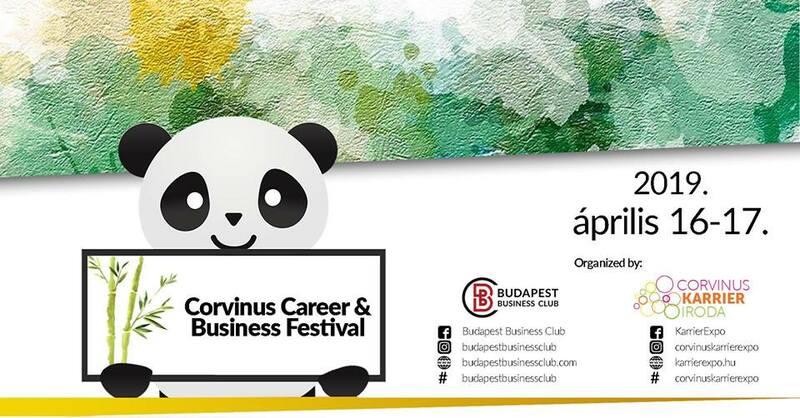 Join the Corvinus Career & Business Festival on the 16-17th of April, in the main building of our university! If you are looking for an internship, a full-time job or just want to relax at the ChillZone with us, you are more than welcome!